This painting is from one of my own pet portrait students and I absolutely love this piece. 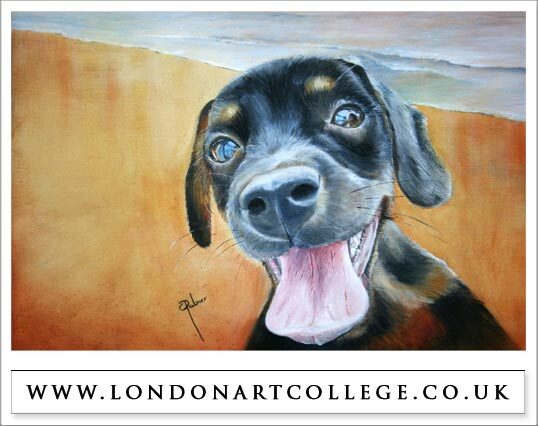 There is a very 2 dimensional feel to the background which gives it a very contemporary feel and with the puppy coming out of the painting at us, we are greeted by a lovely happy face. This piece has a strong light source which adds to the beachy feel. What a fabulous piece of art – it’s Fantastic – love it! !